Friday Feast: how do you tuna fish? 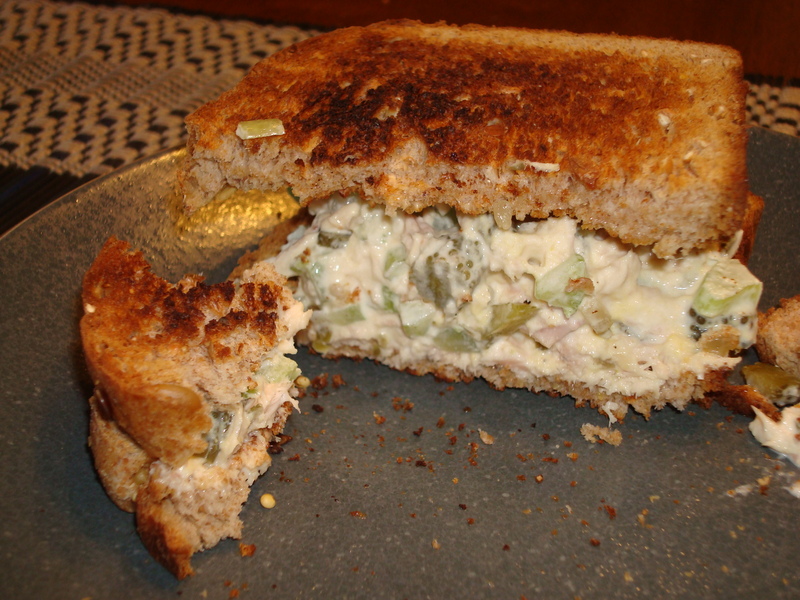 I don’t know why, but every couple of months, I get a hankering for a good tuna fish sandwich. I remember making them (and egg-salad sandwiches) when I was little… I would help cut up the ingredients with a handheld metal chopper and felt satisfied that I was contributing to our lunch. Perfect for spring and summer lunches and quite cheap, tuna fish sandwiches are just the right combination of protein, crunchy veggies, and …. mayo. Combine all ingredients and put on wheat toast. Easy as that. I actually taste test throughout the process until I get the right combo of sweet, salty and crunchy (celery and gherkin). And, I prefer to put the dish in the fridge before slabbing it on warm toast. Overall, it’s my favorite warm-day spring lunch! I enjoy a hard boiled egg in my tuna fish sandwich. And I don’t use any mayo; I use the juice from sweet relish to keep it all together – At least that’s how Mama Lea always used to do it. You are DEFINITELY are missing out by not using hard boiled egg and chopped onion. But nice touch by doubling the pickle content (relish and gherkins). Also try a dash of Old Bay seasoning.